What is email signature? How to use? Why we use it? If you know this thinks then you must need your Email Signature. 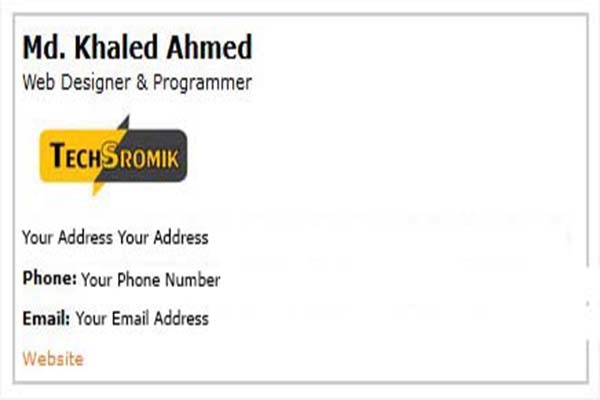 I will give you responsive and awesome email signature using HTML5. Please check this service if you need email signature. You can use all sites(gmail, yahoo, hotmail, and more). Note: If you do not know what it is then please inbox me.